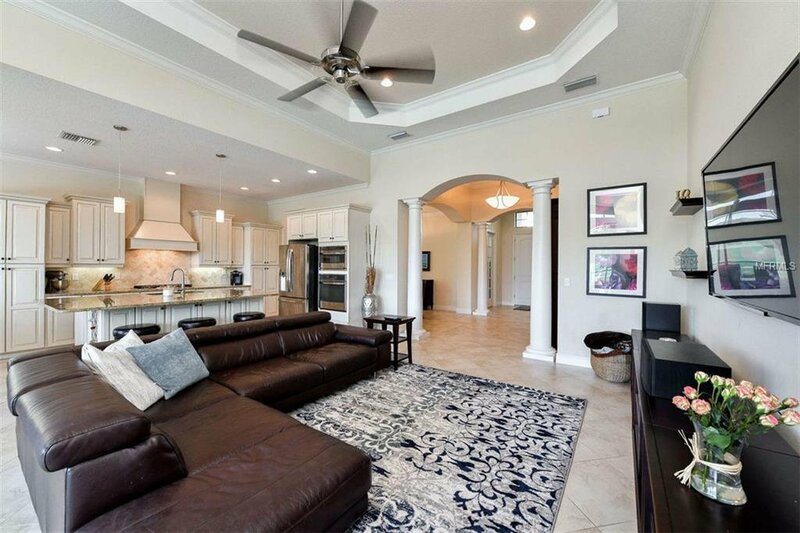 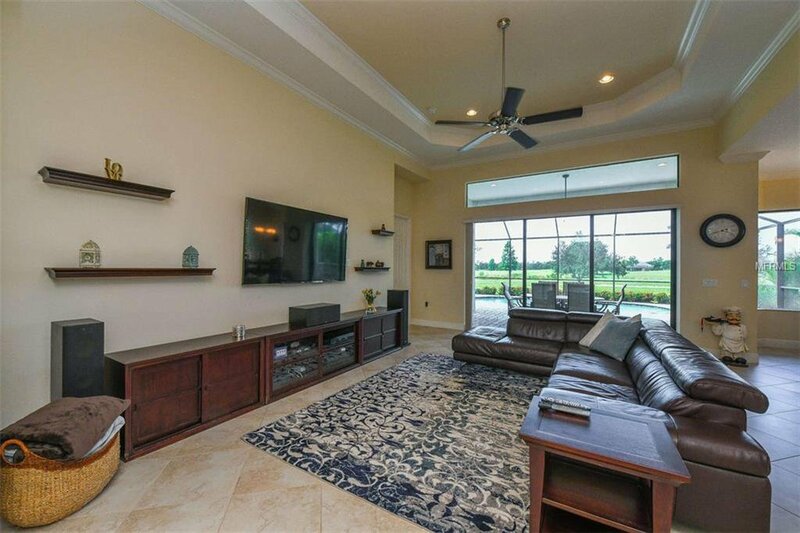 You’ll love the golf and pond views from this stylish and open great room floor plan. 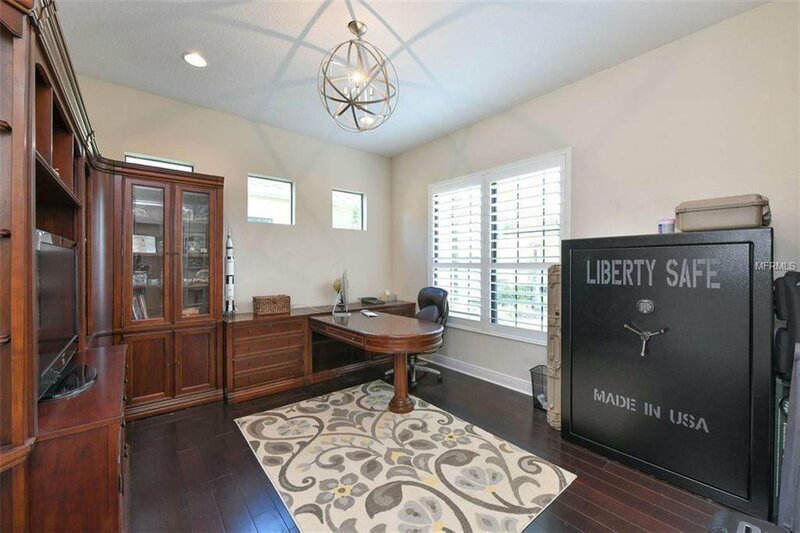 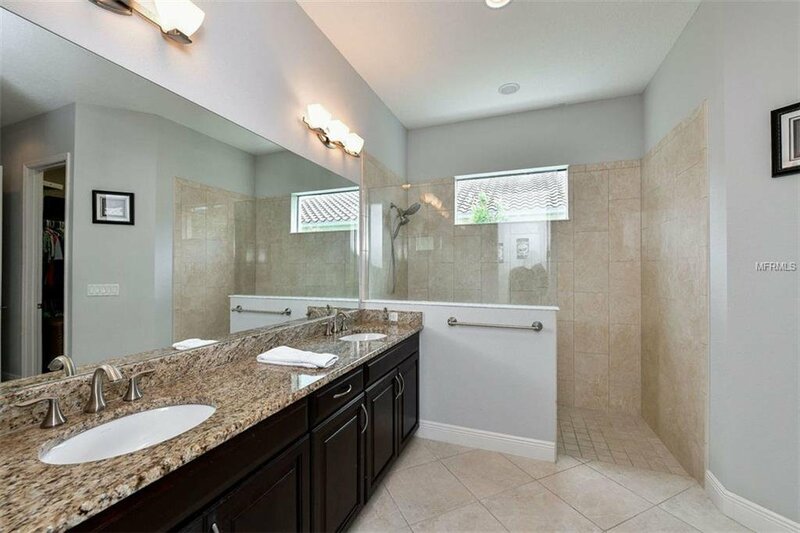 Expertly designed with 3 bedroom plus den and 2 full baths, this home offers designer touches and easy living throughout its 2,455 square feet of space. 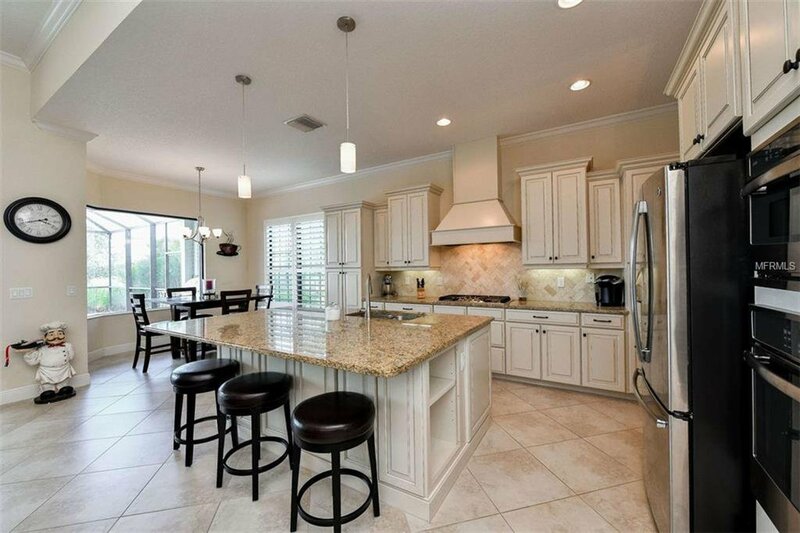 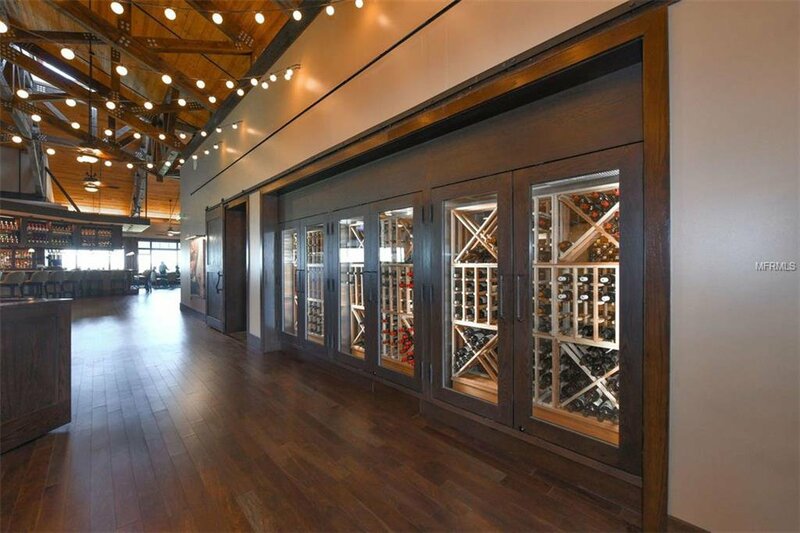 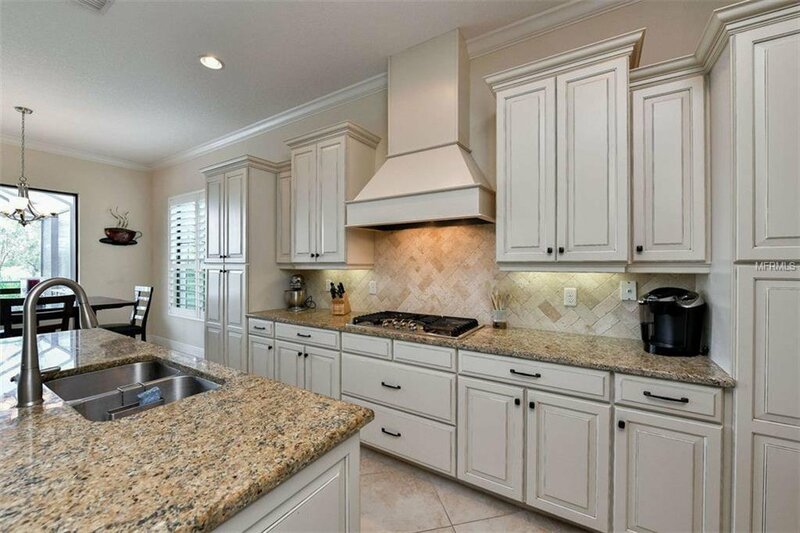 A spacious gourmet kitchen boasts stainless appliances, 5-burner gas cook top, large island, granite counters, wood cabinets, generous storage and separate breakfast room. 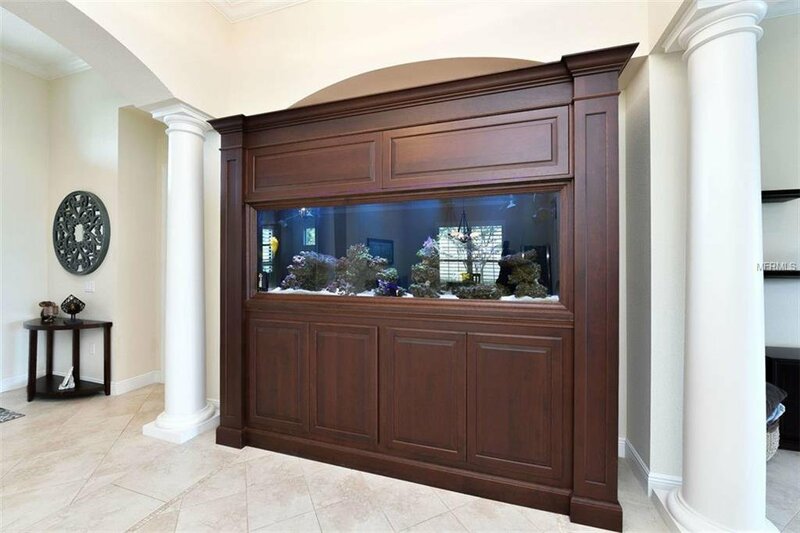 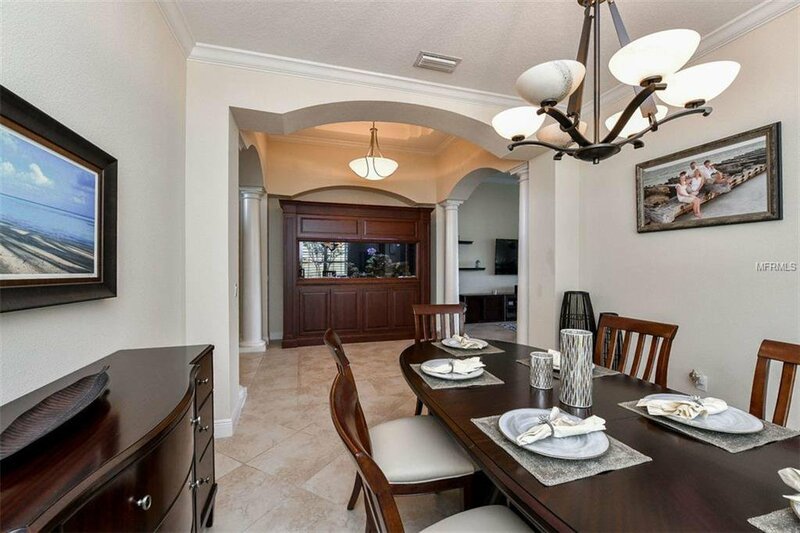 Additional upgrades include neutral tile floors set on a diagonal, crown moldings, tray ceilings, plantation shutters and wood floors enhancing the private den. 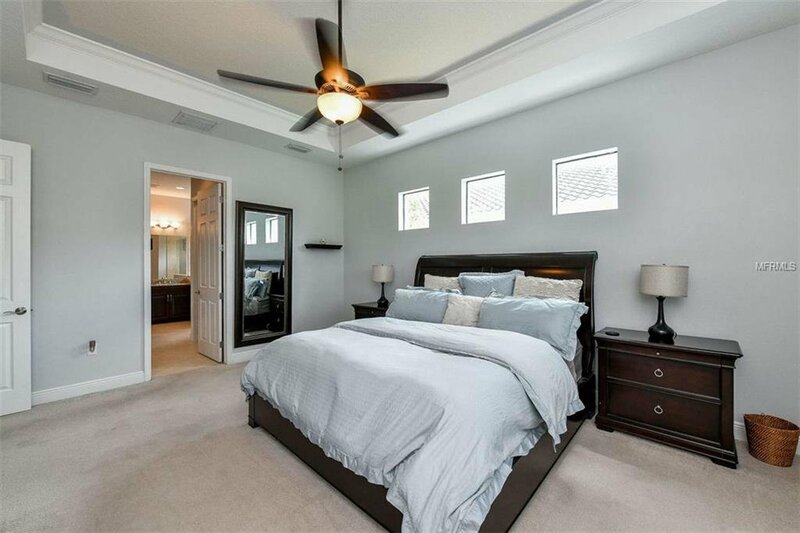 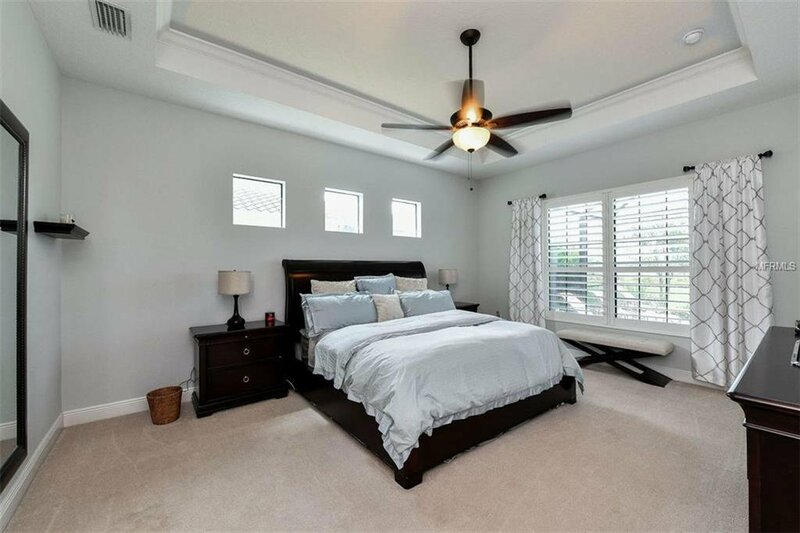 The master suite offers a respite from the ordinary with windows overlooking the golf course views, two walk-in closets with cabinetry, dual sinks and large walk-in shower. 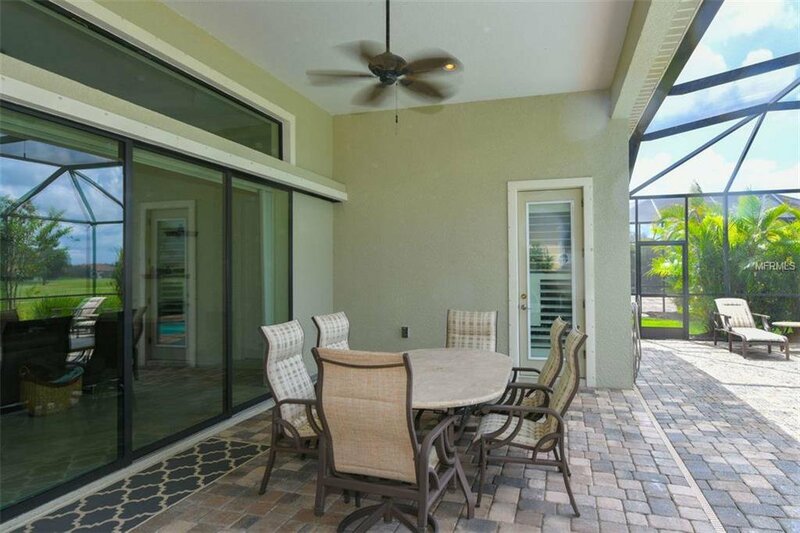 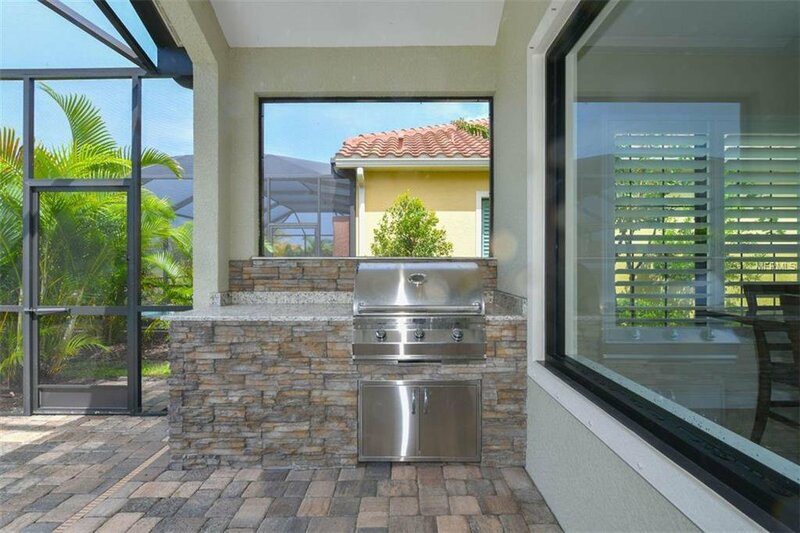 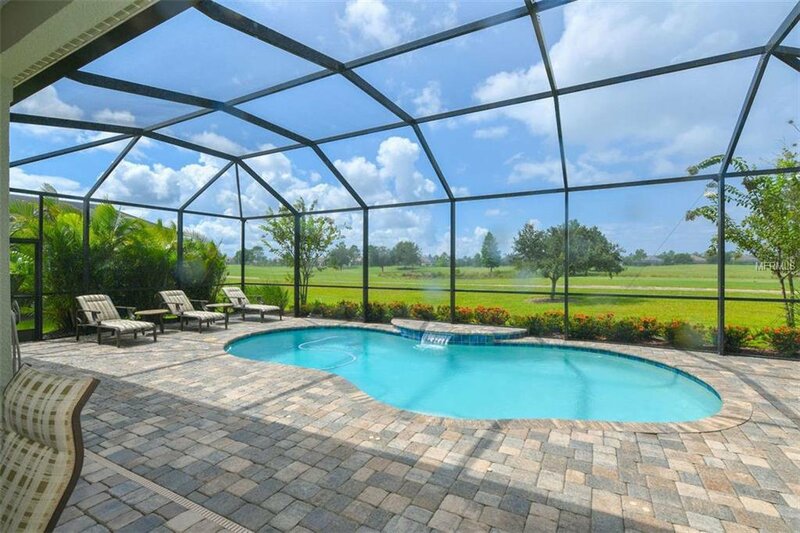 Live the perfect year-round Florida lifestyle from your screen-enclosed pool or entertain from the covered brick paver lanai with stunning outdoor grill area. 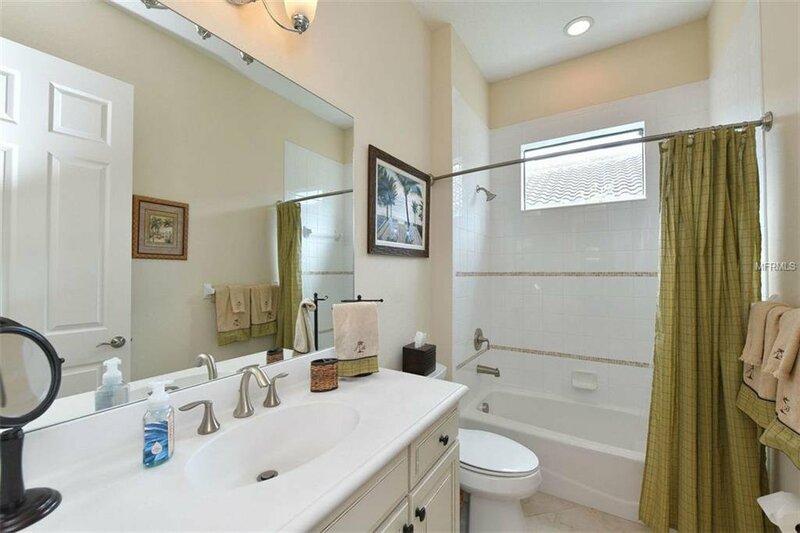 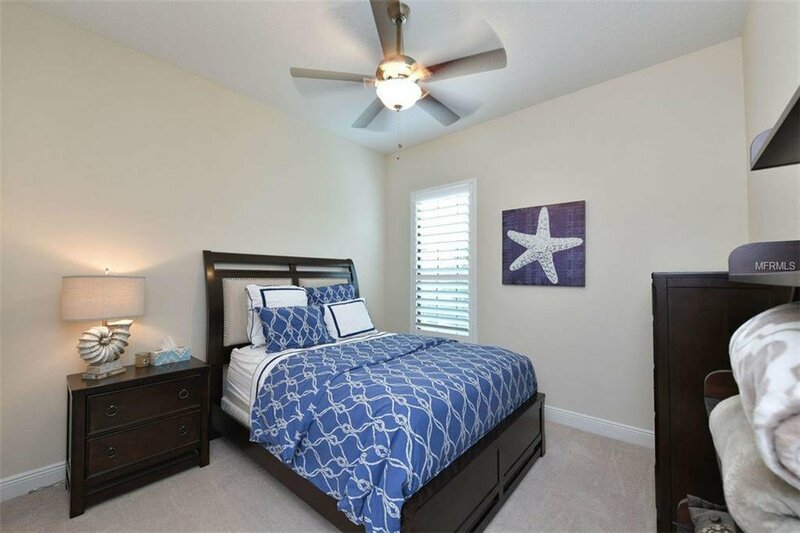 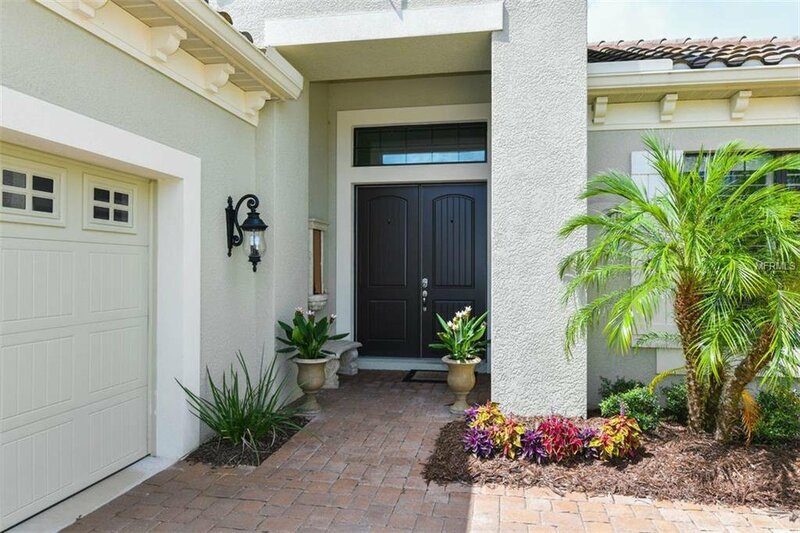 Additional features include a 3 car garage, tile roof and irrigation system with reclaimed water. 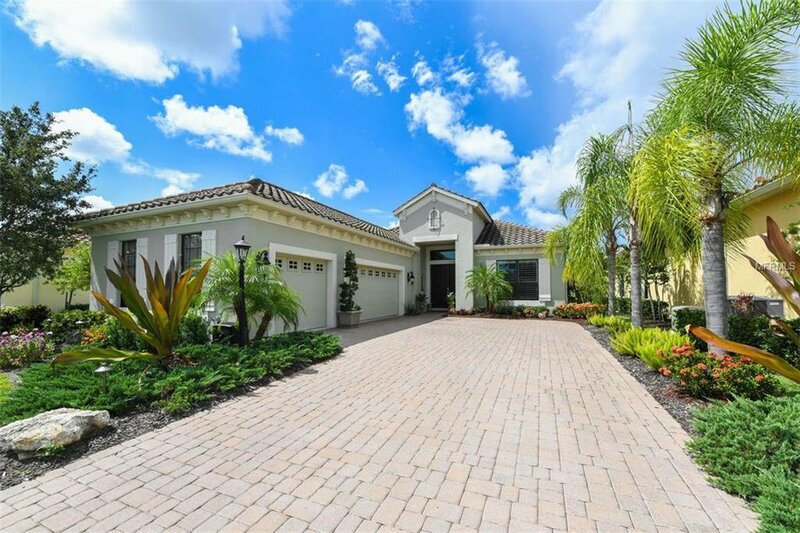 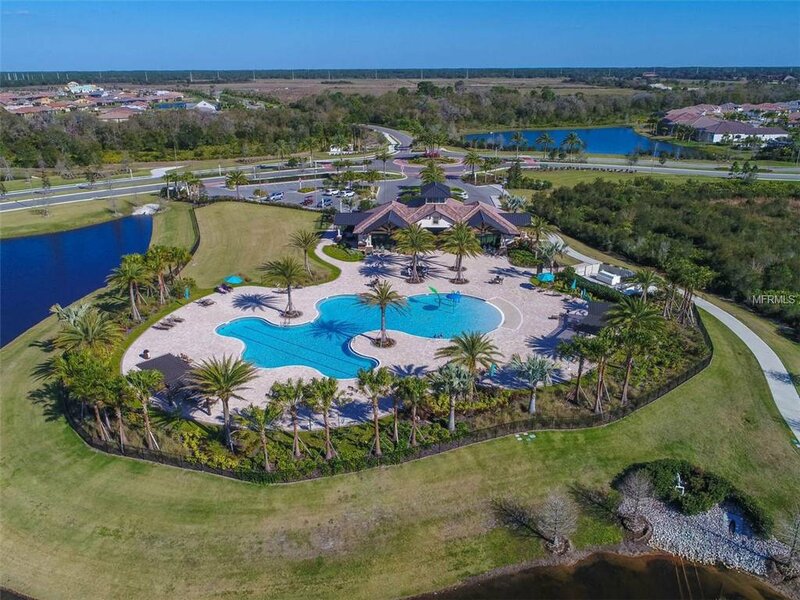 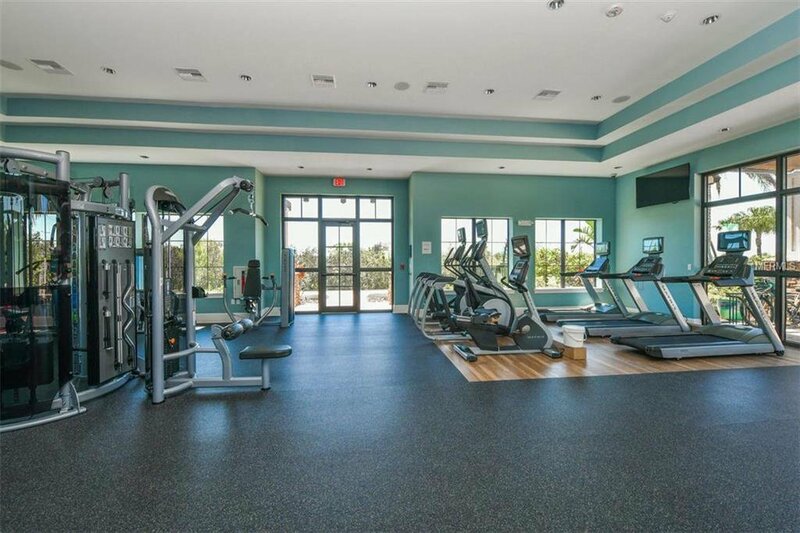 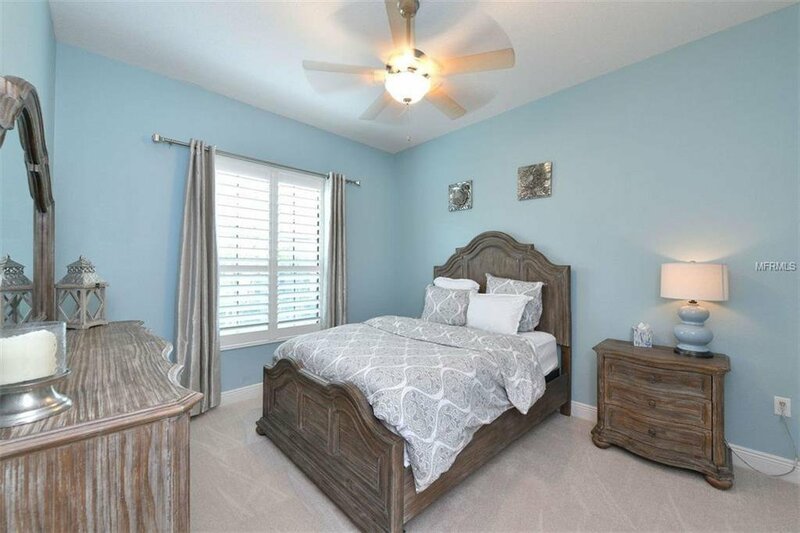 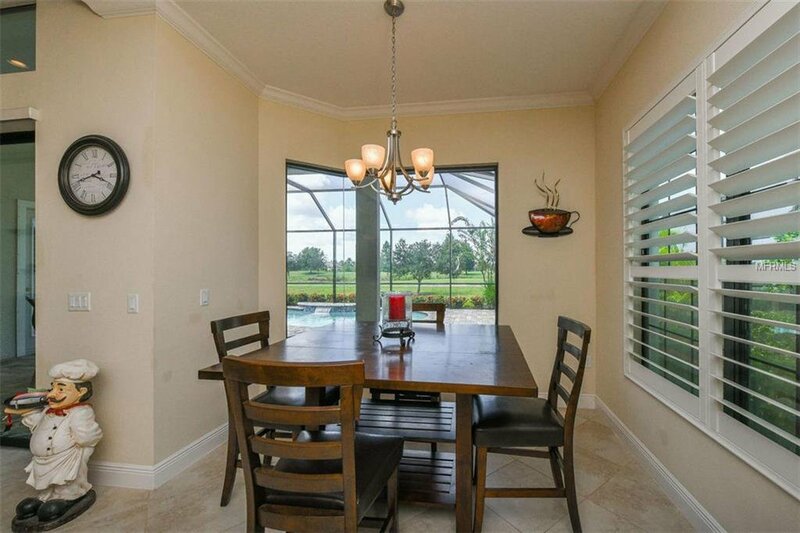 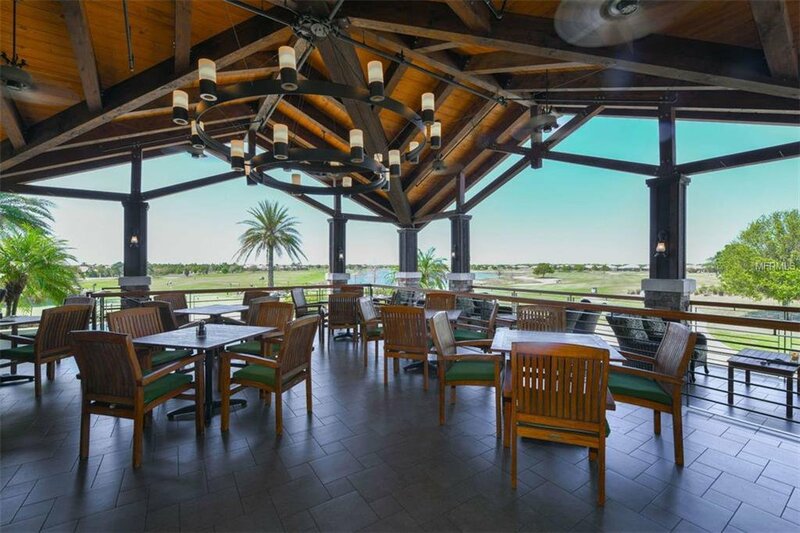 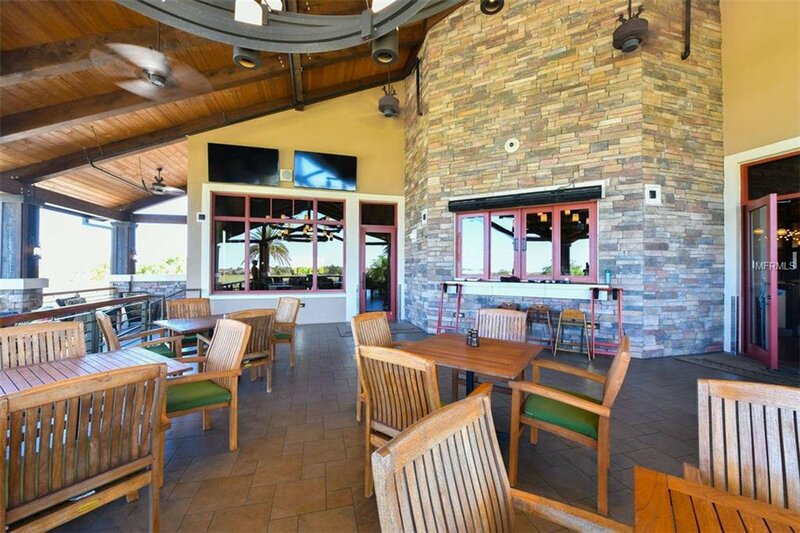 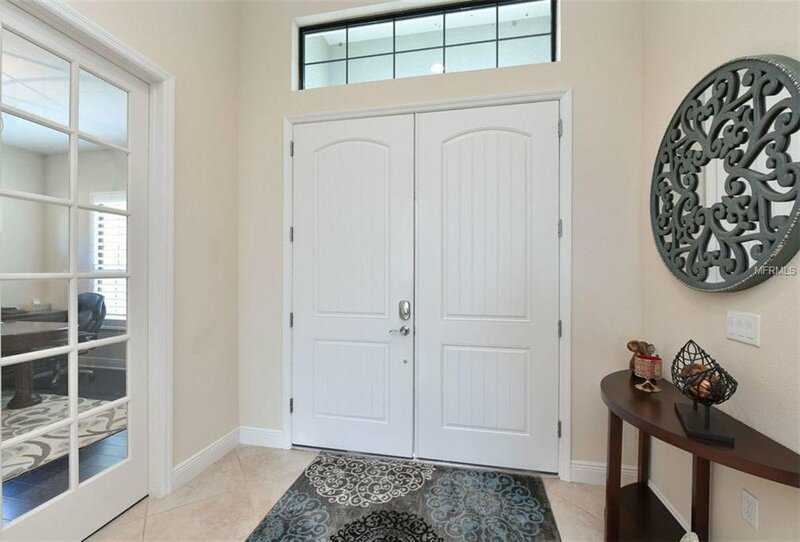 Lakewood Ranch offers residents the ultimate Florida lifestyle with a Private Country Club, 4 golf courses, 18 lighted tennis courts, athletic facilities, polo club and parks. 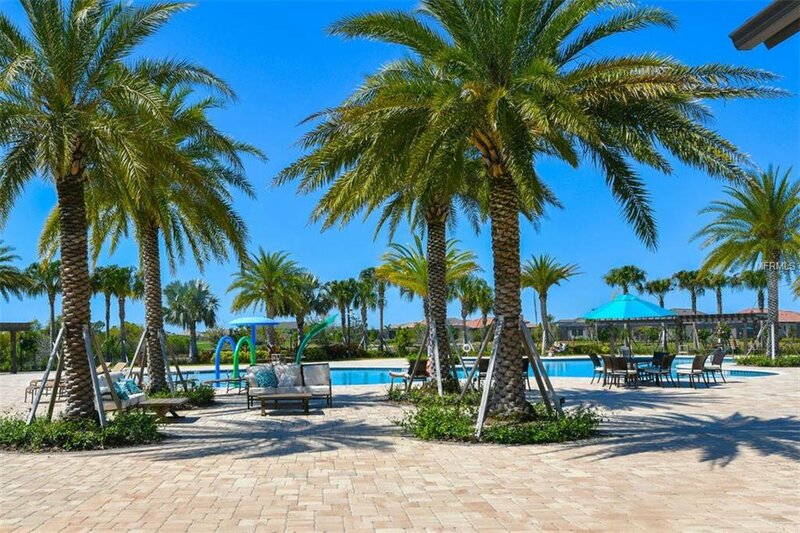 Additionally, Country Club East provides residents with the privacy of gated-community living and the benefits of easy accessibility to everything you need from family-friendly and gourmet restaurants to exceptional shopping and entertainment -- it’s all just steps away.